Buy to let - buying properties which you then rent out - can be a profitable exercise, particularly since rental incomes in the UK have risen in recent years. While building a buy to let portfolio requires a significant initial outlay, it can represent an attractive alternative investment at a time of volatile stock markets and low interest rates. If you're trying to weigh up whether buy to let could be for you, we've assembled 10 top tips. One of the biggest questions you need to ask yourself is whether you’re prepared to be a landlord. Unlike investing in, say, stocks and shares ISAs, which require little action on your part aside from the initial outlay, being a landlord can be a time consuming job. Hunt around to get a good deal, because buy to let mortgages are usually more expensive than residential ones, given the higher risk involved. They typically require a heftier deposit too. So research the market, then research it some more. It will give you a wide range of support and advice around renting out property. If you’re new to the market and not quite sure what may lie ahead, the support offered could prove very useful. Landlords insurance is pretty much a must. Standard household buildings and contents insurance will not be enough to protect you with tenants in your property, so definitely take out this cover. You may also need liability cover for things like injury to tenants or other uninsured losses, so consider this, too. Changes to buy to let stamp duty - a land tax that anyone buying a property costing more than a certain amount has to pay - mean landlords now pay an extra three per cent in duty. Work out if this extra cost still makes it worth your while. Work out your yield - that’s the annual rental income of a property expressed as a percentage of the property’s value. This will help you decide whether the buy to let game is for you. There are lots of yield calculators available on the internet. You probably have a preferred tenant type in mind - whether it’s a working professional, family, group of students or other. In order to attract your ideal tenants, craft the interior of your property so it meets what you imagine their needs will be. As with all kinds of investment, buy to let isn’t without risks, so it’s important to consider whether you really think it’s right for you. If house prices fall, for example, would you be able to continue to manage your investment? Your property won’t always have tenants in it, so ensure you have some spare cash for those fallow periods when you don’t have any rent coming in. Remember, too, that when you do have tenants in you could be hit with repair bills, such as if a boiler breaks. 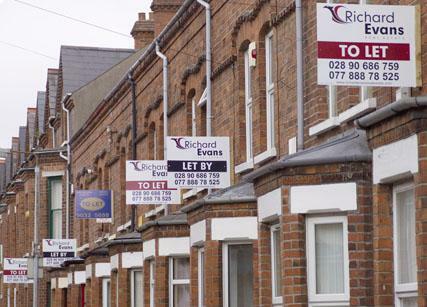 Buying a buy to let property in your local area would seem to make sense - it’s easier to keep an eye on your property if you’re close to it - don’t rule out buying one that’s a little further afield, especially if you’re considering to employ an agency to act as landlord for you.